We’ve all been there while married friends or family are having it out with one another. The fighting can do more than grate on everyone’s nerves–it can be downright unbearable, and it can reduce the love we feel for one another to a different level altogether. The unhealthy marriage sometimes persists like a slow-moving but deadly virus, intent on destroying everything in its path. Sometimes, though, just like a virus, an unhealthy marriage isn’t as apparent as we might wish. It lurks beneath the surface, doing damage without notice. Here are a few common signs of an unhealthy marriage. Whether you’re the one in the marriage, or it’s someone you know, one of the biggest indicators is where one turns for support. 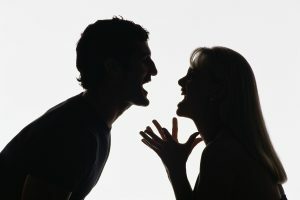 If your friend is venting his or her frustrations to you instead of a spouse, then perhaps the subject at hand isn’t the only problem. In the same way, if someone can no longer see a hopeful future or recall fond memories, then the marriage may be toxic. If there’s nothing fresh or new, and common interests are no longer shared, there is a problem. Sometimes we think that addictive habits such as smoking or drinking are obvious, but some people are extremely good at hiding all the usual warning signs. These destructive tendencies can do even more damage to an otherwise salvageable relationship. Most of us have experienced a situation or scenario in which we knew what the right thing to do was, but we did the opposite instead. Sometimes you can’t blame yourself or the ones around you. If the relationship has stagnated, then most of the time rational thought and actions will fall close behind. A change in confidence can show the difference between a healthy and unhealthy relationship. If you remember a friend brimming with energy, ready to get out there and take on the world, but is now a shut-in who never wants to do much of anything, it could mean that confidence is waning. Usually when this happens, it’s the result of who we spend the most time with and the effect they have on us. Compromise is the backbone of any strong, lasting relationship. If a loved one can’t acquiesce just a little in order to make things better for the both of you, then your significant other might not have your feelings in mind anymore. This is something we don’t always notice in other relationships, but it happens often. Sometimes this shift in attitude seeps into the bedroom. A significant other may only care about his or her satisfaction, and can be forceful in obtaining it. This should not be tolerated. If counseling is not an option, then such a relationship should be quickly abandoned. Better things are on the horizon! What Are Foreign Divorce Decrees? We don’t all live in common circumstances, and sometimes divorce can make this plain for all to see. What happens if you require a divorce, but you’re currently living in a foreign country when your home is the United States? Well, it gets even more complicated than usual, and it’s usually already complicated. Not only do the laws of the foreign nation in which you would like to get divorced apply, but you will also need to get the divorce validated in the United States when you finally decide to return home. That’s where a foreign divorce decree comes into play. A foreign divorce decree is exactly what it sounds like. It’s a–usually–legal decree that a divorce has taken place between two spouses who no longer wish to be together while at least one spouse resides in a foreign country. Although these issues are playing out in the legal arenas within another country, the United States federal government still holds no real authority over divorce in or out of the country. When you file for divorce away from home, a decree is the only thing that can determine whether or not a state will recognize the divorce has occurred. No matter what, information regarding divorce is widely sought after and should be taken with a grain of salt when found. Consider it generalized at first glance, and be sure to check up with a divorce attorney. You need to know the local laws of the country where you get the divorce, you need to know how to get a fair and accurate decree, and you need to know how to ensure its validity at home. These aren’t waters to navigate alone, so be sure you enlist help before going any further. One matter that you need to be familiar with is where you have your home. You cannot expect a state government to accept that a divorce is valid if you did not have a home in the country where the divorce decree was issued. When seeking a divorce in another country, you must be sure that at least one party resides there first. There are a number of legal terms regarding foreign divorce decrees to familiarize yourself with before you seek one. An “ex parte” divorce occurs when one party is physically present but the other is not. For an ex parte divorce to proceed, fair notice must be provided to the absent party. A “void” divorce is an ex parte divorce during which no notice is provided to the absent party. If you obtain this type of divorce, then you can expect the foreign decree to be invalidated by the state government upon your return home. A “bilateral divorce” occurs when both parties are present, and these are the most commonly validated foreign divorces. If you’ve done your research, this is probably the way to go. 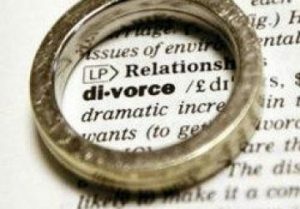 Comments Off on What Are Foreign Divorce Decrees? Divorce in practice is a lot different from divorce through word of mouth. There are a number of scenarios that will play out over the months after which you file for divorce, and the number of questions you inevitably attach to these scenarios will continue to grow over time. They can be nearly to impossible to answer without the help of qualified legal counsel, which is why that is always the first step. If you’re not yet ready to file for divorce, however, you might wonder what it can cost you. Will your spouse be required to pay your attorney’s fees if you’re the one who filed for divorce? Let’s say your spouse cheated on you, and you decide to file for divorce because you feel that marriage vows are important. That’s good–most people do, and the court system tends to agree. 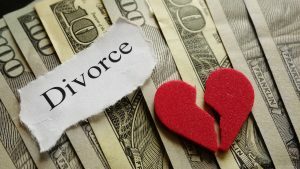 Because you’re getting a divorce as the result of your spouse’s actions, and those actions alone, there’s a good chance you may be able to convince a judge to order your spouse to pay for the fees required of your attorney. In cases where the issues at stake are a little bit murkier–for example, the actions of both husband and wife are requisite factors in the divorce–then the court may not take action to force a spouse to pay either partial or complete attorney’s fees of the other spouse. What matters most in this example is the income of both parties. If your income is much, much lower than your spouse’s income, the court may decide to give you a little help. Or rather, the court may decide that your spouse will be required to give you a little help. California has an interesting rule that requires fairness in these circumstances. If one spouse is exigent and can’t afford attorney’s fees, but the other spouse can, then the other spouse will likely be forced to provide the difference. This rule is not contingent on a wide gap in income. All that matters is what can be afforded, so that both sides have an equal say during the divorce proceedings. Needless to say, if the process took place while one spouse had legal counsel and the other did not, one spouse obviously holds an unacceptable edge over the other. Lastly, if you would like your spouse to pay for your attorney’s fees, then be on your best behavior. Extra points will be gained if you act fairly and quickly, but your spouse does not. Judges are quite irked when proceedings are drawn out unnecessarily, and someone usually pays the price for making a judge angry. If your spouse’s attorney engages in disruptive tactics in order to make the process last longer than it should, then it may be your lucky day! Comments Off on Will The Court Order My Spouse To Pay My Attorney’s Fees? If you’re wondering whether or not it’s in your best interest to file for divorce, a number of questions are already running through your mind. It happens to everyone going through the same thing, and the questions are always the same. Should you go through with it, or will time heal the issues between you? Okay, time hasn’t done anything to heal, so maybe distance is the best option. Time apart isn’t just time apart, though, and it’s important you understand that. What is the difference between legal separation and divorce, and which is best for you? The first thing you need to remember should be obvious, but sometimes people forget: when you’re separated, you’re still married. When you’re separated, therefore, you should still behave as you would when you’re married. If you do indeed decide to get divorced at some point down the road, then the actions you take during your legal separation could affect the divorce proceedings. In other words, be extremely careful. You might choose to separate for a number of reasons, but the consequences can sometimes creep up on those who do. Sometimes, the benefits of your marriage will dry up, depending on the type of benefit and how long you’ve been apart from your spouse. If you currently enjoy the fruits of a spouse’s labor–i.e. Social security income, health insurance, dental, or any other benefits–then you should know that you often don’t have the legal right to continue to use those benefits during a separation. Your specific situation matters. The job you have and the benefits provided can affect the outcome, and might help determine whether or not you would be better off following through with divorce or simply staying separated. A qualified legal professional specializing in divorce is an absolute necessity, even if you don’t intend on getting a divorce. A divorce attorney can help underline the fine print you might otherwise forget to read, and they can give you detailed instructions on how best to proceed–and how to do so carefully–in either case. There are a number of reasons you might continue to fulfill your marriage vows, even during a legal separation. Perhaps you and your spouse are devoutly religious and do not believe in divorce as a means to solve the differences between you. Perhaps you are dependent on the benefits of the other, or you require the tax benefit provided by marriage. Maybe you have other extraneous circumstances in your life that preempt the stress of getting a divorce, and you’re just not ready to go down that road. No matter what, legal counsel will help you determine the best course of action for you and your future. Comments Off on What’s The Difference Between Legal Separation And Divorce? What Careers Have Higher Divorce Rates? If you’re about to get a divorce or just thinking about it, then blame is probably getting tossed around. Believe it or not, sometimes there are extraneous factors to consider. One of those factors is the career of you or your spouse–or both. Certain careers lead to much higher rates of divorce for a number of reasons, and you probably won’t guess what some of those careers might be. Here are some of the careers that have the highest divorce rates. The profession with the absolute highest rate of divorce is that of a gaming manager, coming in with a stunning 52.9 percent rate of ruining that marriage. While this probably wasn’t your first guess, it also probably isn’t a surprise. 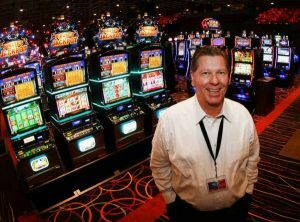 Gaming managers help supervise operations at casinos. Flight attendants and bartenders take the next top spots with 50.5 percent and 52.7 percent rates, respectively. These can likely be attributed to odd hours and time spent away from home. After all, flight attendants basically live out of hotels much of their time. The next jobs on the list fall into similar categories. Gaming services workers also fair poorly at marriage, getting divorced at a 50.3 percent rate. Certain types of machine operators take over a number of the next five spots, most falling just under 50 percent. Switchboard operators land at 49.7 percent. Telemarketers have a 49.2 percent rate of divorce, which probably won’t surprise anyone. We’ve all been aggravated by them from time to time, especially when they phone you while you’re on a no-call list. Considering that the actual rate of divorce is already so high in the United States, you might be wondering what careers have the lowest divorce rates. The numbers are a lot different than the previous set. You might think that surgeons would have a higher rate of divorce because they’re often required to be “on call” at all times, but you’d be wrong. Physicians and surgeons come in at number ten on this list, with only a 21.8 percent chance of divorce. Amusingly, the career with the absolute lowest rate of divorce is that of an actuary with only a 17 percent chance of divorce. This is funny because those invested in this career spend their time analyzing statistics in order to find patterns. They use the skill to determine risks and rewards for insurance companies. Other careers that were low on the list were clergy (still not the lowest), scientists, software developers, physical therapists, and chemical engineers. Since it turns out that career can be such an important indicator of where you’ll end up later in life, perhaps it’s important to take the time to consider where you’ll be working when it comes time to plan a family! 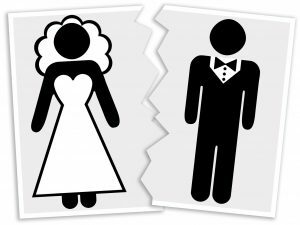 Comments Off on What Careers Have Higher Divorce Rates? Some people take marriage vows more seriously than others, but by now we should all be aware of the possibility that a marriage will fail. Prenuptial agreements are made in preparation of this possibility, and help allocate property and monetary assets in the event of a divorce. If you’re the type that considers marriage vows to be sacred–to love in sickness and in health–then the possibility of failure can make a prenup request into an egregious insult. It doesn’t need to be that way. That said, these are some of the things you can and can’t manage with a prenuptial agreement. One of the biggest reasons you might draft a prenup is in the interest of protecting a family heirloom. If you have property that’s been in the family for generations, you’ll want to keep it safe. A prenup can be used to do so. Estate law gets more complicated after marriage, and you might choose to draw up a prenup in order to keep previously arranged estate plans in place should the marriage fail. This guarantees that assets already owned will still make their way to the intended beneficiaries instead of taken by a spouse during a divorce. In the same way, a prenup can signify what children might inherit in the event of a divorce. Prenuptial agreements aren’t all about determining what assets return to your ownership during a divorce. They can also be used to outline responsibilities to be carried out by each spouse. They can help determine who is to manage expenses and joint bank accounts, who manages tax returns, who manages investments, how much must be contributed to savings, how property will be distributed in the event of a spouse’s death, etc. The options are endless. That said, don’t expect to decide who stays at home with the children or who washes the dishes and mows the lawn. These are largely financial arrangements, and do not govern personal matters at home. One thing you can’t do with a prenup is determine alimony in the event of a divorce. Even if this is legal in your state, most judges will strike down the provision or limit what you hope to achieve with such a stipulation. Prenups aren’t always devised in order to make sure original assets go back to their original owners. Sometimes they prepare for divorce by providing an even distribution of assets in order to spare both partners from the usual stress of a divorce. Such provisions must be handled carefully, however, because judges do read these documents in order to ensure that uneven distribution doesn’t encourage divorce in any way. For example, if a previously poor partner would get an enormous sum of money in the event of a divorce, the provision will likely be struck down. School is often a blessing in disguise because the institution of learning keeps our children out of harm’s way while we’re off at work or perhaps even irresponsibly gallivanting in an effort to maintain that elusive social life. 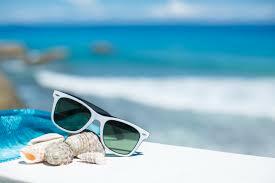 That’s why summer vacation–even for happily married couples–can present a difficult conundrum. There are only so many activities that keep our kids preoccupied without enormous expenditure, and coordinating between them is that much harder when you’re on your own. So you’re a divorced parent: here are a few of the best tips for how to spend time with your kids or keep them busy on their own during the summer months. Since your kids are already around, this is the best period of time during which to allocate your vacation weeks. Whether you spend the time at home, explore an exotic location, or walk down the street staring at the birds, this is a good chance to experience new things with your kids. Summer months present a good opportunity for overnight camping excursions, and if they’re in need of exercise because of the sedentary 2000s lifestyle of video games and mobile phones, then hiking is a great choice. If you still have to be at work every day and can’t leave the kids at home, then send them off to an actual summer camp or find other parents around the neighborhood who have the same problem. It shouldn’t be too much of a struggle to find like-minded adults who need some time with (or without) their kids, so work together to brainstorm new options and take turns with the neighborhood kids. Just because you might not have a spouse doesn’t mean that no help is available. Don’t be as rigid as society says you need to be. Kids like to do things their own way, and the chance to provide them with options and choices shouldn’t be missed. This is a good time to reacquaint yourself with the new hobbies, likes, and dislikes that your children have accumulated over the past year. If they feel fine having a movie marathon or sitting around playing video games for a few hours, then let them have at it. Try to include yourself every once in awhile. Don’t let them go too far overboard, but don’t stop them. 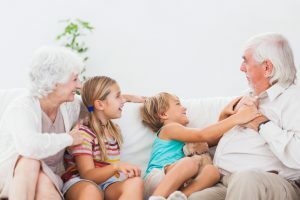 One of the most important things you may need to constantly remind yourself of while you brave the summer months with your kids is this: maintain a positive attitude, and be careful what you say–especially when someone mentions your ex-spouse. It’s never a good idea to be critical of the other parent in front of the kids, and what you say has a tendency to make its way into unfriendly territory. Don’t start any confrontations for no good reason, and keep everyone calm. When you’re finally out of a toxic relationship, there are a number of paths you can take. Do you keep a last name? Sometimes it can be easier that way. It can be simpler when you don’t have to go make a list of all the websites and companies and institutions that have your married name on record in order to make the necessary changes. It can be less confusing for young children. If you choose to go back to your old surname, then you might forget about everything you have to do. Here are a few of the most frequently asked questions about changing your name after a divorce. Do I need to notify Social Security of my name change? Yes. If you opt to change your name, then you must acquire a new card to reflect the new name–and that means alerting Social Security of the change. Keep in mind that this isn’t a process that can be completed online. In order to make the needed changes, you need to fill out an application for a new card, and then mail that application and other necessary documentation (such as identification) to whichever Social Security office services your locale. An in-person visit will serve just as well. What do I need to do in order to get my name changed back? Although there are a lot of minor nuisances and notifications you’re likely to forget, you probably don’t have to venture into court to make the change. Most people just start using the name! 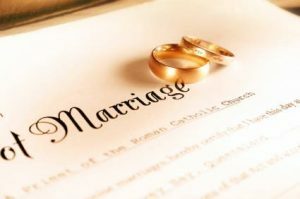 When you take your spouse’s surname after marriage, you can usually get away with simply using the name as long as you have a marriage certificate handy. Similarly, you can start using your old name again as long as you have a divorce decree. Eventually, it sorts itself out without any legal mumbo-jumbo. The only reason you would need an actual court order is if you’re changing to an entirely new name that you’ve never used before. There are a lot of things to update after you make the change. Be sure to get new checks issued, then alert USPS, credit card companies, billing companies and utilities, government institutions and affiliations, and order new identification cards. You need to update your driver’s license and passport immediately, because your name needs to match databases and travel itineraries exactly in order to avoid any trouble. A lot of travel plans have been squashed because of these minor missteps. You might also forget to notify friends or family, employers, your children’s school, the DMV, and the Department of Records or Vital Statistics.